On a recent foray into a used book store I stumbled over an excellent flyover of Roman history. 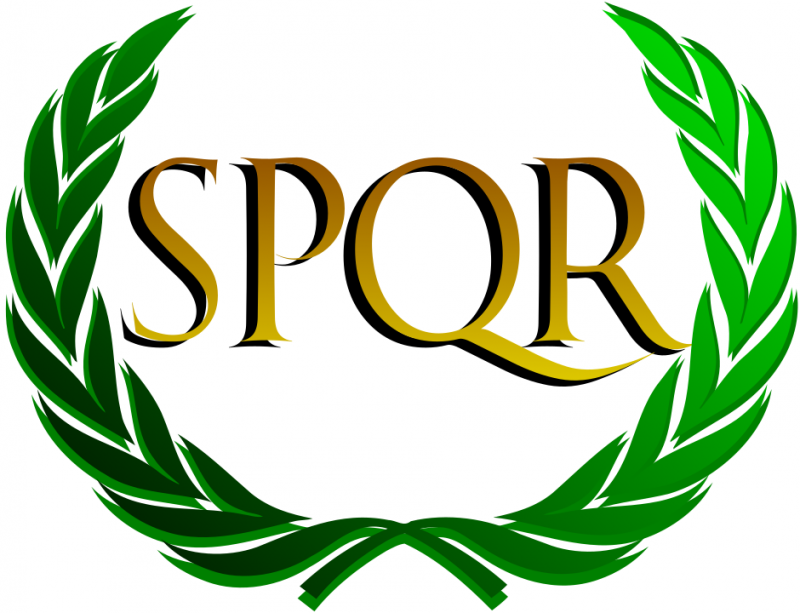 During my reading I was intrigued by the settlement of a political conflict in the Roman republic of the fourth and fifth centuries BC. During that period a power struggle ensued between the hereditary aristocracy and the commoners. Compromises during the period ended the contest in the early third century with a relatively stable power-sharing arrangement. The aristocracy of birth was diluted with an aristocracy of political office and wealth, and the political offices were divvied up between the classes. There might be something in this for the modern world. The current polarization in US politics produces entertaining media theater. Unfortunately the stage show seems to favor shouted one-dimensional answers and celebrities with out-sized personalities. There appears to be little appreciation for the practical and difficult discussions of complex issues appear completely frozen out. If ideas cannot be reduced to sound bites and Twitter posts they are knocked flat in the gale of personal invective, cynical populist rhetoric, and simplistic expressions of principle. Demagogues and ideologues. The whole thing seems very Greek. On the other hand the founding document for the US political environment seems very Roman. The US Constitution appears to be a very practical exercise in spreading power. It encodes a recognition of what happens when too much of it is concentrated in one place and requires broad consensus to get anything significant done. Unfortunately the framers appear to have not recognized the limits of their practical problem solving. The three-fifths compromise in Article One was morally bankrupt and baked in the mechanisms of its own dissolution. This attempt to reconcile political power arrangements with the treatment of people as property was eventually paid for with 600,000 casualties in the American Civil War. There is a balance to be found somewhere in between the practical thinking of the US founding fathers and the very loud chaos of the current media circus. But at the moment the balance could a bit more Roman and a little less Greek. Pick an issue over which Christians divide. It doesn’t matter which one. Pick a book of the New Testament that contains verses addressing your view of the controversy. Find a public domain version of the Bible online and copy the book into a word processor, or better yet a plain text editor. Use “find and replace” to remove all the punctuation, numbers (chapter and verse marks), and all the spaces between the words. For good measure remove the paragraphs. Now try to read it. This is an approximation of scriptio continua, the normal mode of writing used in classical Greek and late classical Roman texts. It is also found in early manuscripts of the New Testament. The original form of these texts may have implication for how we read them today. Some time ago I was introduced to the idea that our communications media affects the physical structure of how our brains work. There is a very good chance that our brains function a bit differently from the writers and readers of ancient texts. We are awash in print. Books emails, text messages, tweets, news pages, magazines, captions – we see it everywhere but we really don’t see it. Reading happens below our level of conscious thought. This flood of text that started with the printing press has completely saturated us with the advent of electronic media. It wasn’t always so. The mechanics and logistics of reading and writing in the ancient world presented a far different environment. There was far less of it. 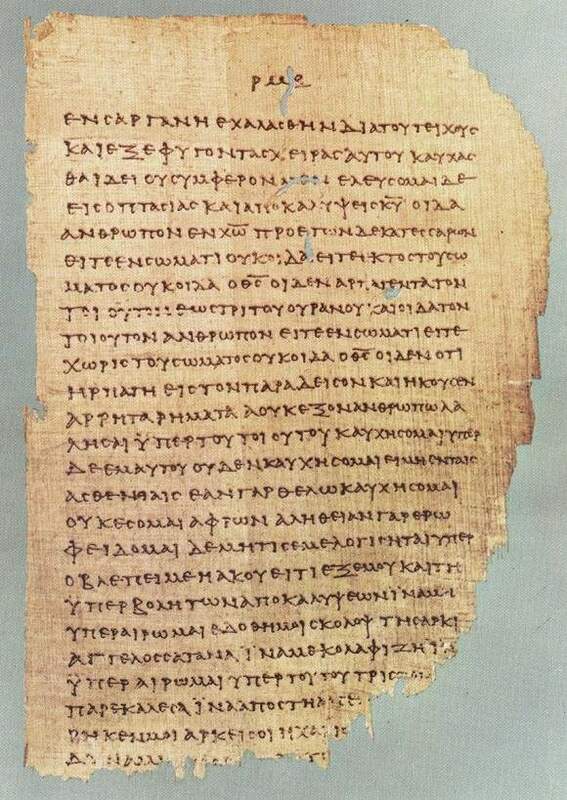 The composition format in the ancient world would make writing laborious and persistent media (parchment and papyrus) was labor-intensive and costly to produce. And the process reading/writing was hard work. If you doubt that just try the experiment I described above. Or follow this link. If you were literate, which wasn’t likely, you probably didn’t do that much reading and writing unless your occupation demanded it. And you probably read aloud. Silent reading is extremely difficult without spaces between words. And if you had sufficient means, there is a good chance that a literate slave did a fair bit of your reading for you. After all, slaves did most of your other menial stuff. Reading and writing seems to have been tools of practical communication in a primarily oral culture, rather than mechanisms of the information saturation we experience in the present day. What was spoken seems dominate what was what was written. This orality appears also to extend to those who would be considered literate in a modern sense. Pliny the Younger described (his uncle) Pliny the Elder’s study habits as including the use of a reader. His uncle would listen while taking notes (Letters 3.5). The passage describes the reading as out loud, so presumably some silent reading was known. But that was clearly not his uncle’s preferred way of interacting with the text. Some years ago in an attempt to step outside of my own thinking on the matter of origins I read (most of) The Literal Meaning of Genesis, by Augustine of Hippo. It took weeks to read – the struggle was something of a surprise, having read much longer books by 19th century authors. I also started but never finished City of God – I mostly just nibbled around the edges and never really digested the book. Now I may know why. In the seventh century Irish scribes started inserting spaces between words and also started adding punctuation. Latin was a foreign language and this made it easier to read. Our ability to speak is innate. Reading and writing, however, are learned. The idea I was introduced to last fall is that the learning process creates new neural pathways in the brain. Which means that a brain that does not read will have not have the same pathways as one that has learned the skill. It is different. And spaces between words make that skill easier to master. By making reading easier, spaces and punctuation made reading more efficient and possible to do far more of. More reading, more neural pathways. Spaces between words facilitated the development of a brain that is saturated in text, the way mine is. It has different neural pathways from one that is not. To be clear I am not equating this difference with intelligence. I doubt very many of us could master extemporaneous oral composition in the way that was expected in ancient Greece and Rome. Ancient orators did not have teleprompters. What I am suggesting is that maybe the thinking processes of those ancient orators was a bit different from ours. There is a frequently cited passage in Confessions where Augustine describes silent reading by Ambrose of Milan in ways that make it clear it was highly unusual (Confessions 6.3). Augustine probably read out loud – which means there is a good chance his primary mode of thinking and composition was oral, and his writing consequently anchored in an oral mode of thought. This orality might help to explain why I struggled to track with his writing. If this is true it also ought to affect the conclusions I draw from what he was communicating. I have been working my way through quite a number of ancient texts since that point – some have been easier to read than others. I thoroughly enjoyed Xenophon’s Anabasis – his account of a mercenary army’s misadventures in Persia and subsequent escape. It was probably more readable because it is very linear, something which is imposed by the sequence of events. But other ancient writing seems somehow disjointed compared to writing of later millennia. It seems far less linear. Which brings me back to the subjects of our disagreements. Ancient writing is just different enough that we ought to have some caution about the conclusions we draw from what we read. If strong and incompatible arguments can be made for several very different interpretations of the same ancient text, it is entirely possible that none of them were ever in the mind of the author. In ignoring the inherent orality of the original writing risk reading our own ways of thinking back into an ancient text. First-century Palestine was an oral culture. Nobody had a leather-bound Torah resting on a coffee table in their house. Modern scholarship is beginning to engage this inherent orality. Richard Bauckham notes that the way Mark structures “…his narrative are mostly characteristic of oral composition.” Other books of the New Testament have identifiable oral underpinnings as well. Transmission of Paul’s letters may have involved more of an oral performance than the sterile textual “reading” to which we are accustomed. I’m not suggesting we return to the reading aloud of continuous text with no punctuation. But given the oral underpinnings of ancient writing, in order to engage with biblical texts on a personal level (and on their own terms) we might be better off hearing more of it than just simply reading it. I have been attempting to do exactly that. I am currently playing the New Testament on CD in my truck on the way to work in the mornings. It’s not a perfect approach. The particular version to which I am listening has soothing music in the background – this does nothing to contribute to my engagement with the performance. But I am hearing (and engaging) things I used to gloss over while simply reading. Bauckham, R. (2006). Jesus and the eyewitnesses: The Gospels as eyewitness testimony (p. 232). Grand Rapids, Mich.: William B. Eerdmans Pub. Update April 11, 2016: writing media was more costly than I had any idea, especially parchment. It appears that the cost of a complete book could be one hundred times (or more) the daily wage of an unskilled laborer. https://sarahemilybond.wordpress.com/2016/04/04/sacrificial-lambs-livestock-book-costs-and-the-premodern-parchment-trade/ In view of this books seem unlikely to have been plentiful. At least not in the way we experience them. Casual reading would be a pastime for the literate wealthy (or perhaps for the literate with wealthy patrons). In the middle third century a Church council assembled at Antioch and deposed the local bishop, Paul of Samosata. Paul appears to have taught that Christ was a mere man infused with the divine, a view at odds with the dominant consensus about Jesus’ pre-existence. Unfortunately for the council Paul held a government position and also had the backing of the queen of Palmyra. The other bishops were consequently unable to actually dislodge him until after the Roman emperor Aurelian defeated the queen and reasserted control over the eastern empire. 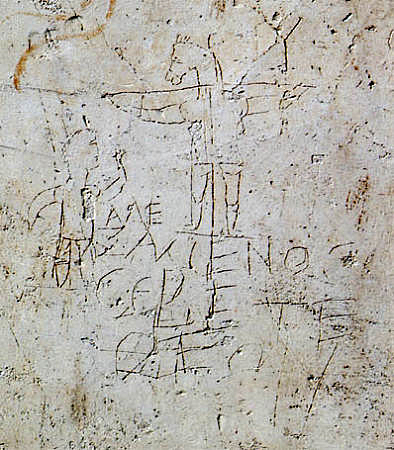 The bishops applied to Aurelian to pry Paul loose and the emperor deferred to the bishops of Italy and Rome. Discussion of this incident seems to focus on the theology as well as accusations of abuse of position and self-enrichment recorded by Eusebius . But the ties to civil government clearly made the problem more difficult for the early church to address — they provided Paul with resources to resist the other bishops. An underlying issue is summed up in a comment in the Encyclopedia of Early Christianity. The behavior of Paul “offers significant evidence that urban churches were seeking men of power and culture for their bishops.” This points to a similarity in functional usage between the activity of civil government and the office of bishop. The latter had become compatible with the exercise of autocratic authority. Which appears to simply ignore practical realities of time and distance communications in the ancient world. I would suggest instead that the essential tool for regulating the business of empire was loyal and reasonably competent local administration. Given this there is a better candidate driving the development of monoepiscopacy and its subsequent dysfunctional compatibility with autocratic Roman power. These are rooted in general observations on organization that seems to apply to the church as well. Once any group of people expands beyond a certain point in numbers and scope of activity some degree of organization becomes necessary. It allows for specialization and cooperation, increasing the reach of the group beyond what individuals are capable of. This can grow up organically at small scales as individuals are found to have aptitudes for particular roles. Such organic development seems to characterize the apostles’ call to recruit people to administrate the distribution of support to widows. But in the centuries following this nascent bit of organizing something clearly went off the rails. The activities of large numbers of people are not well administrated by informal methods. Whatever the actual initial impetus for monoepiscopacy, the efficiency of the expedient would rapidly lead to consolidation of function as an organizational form. It’s not difficult to see where this would come from. Monarchy was a familiar form in the ancient world. 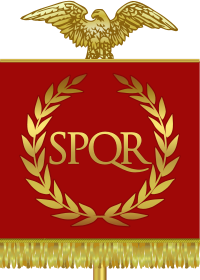 And administration of Roman provinces was carried out by governors who combined supreme civil and military authority. In all fairness the early church didn’t have much in the way of alternative examples. But an inherent conflict exists between the tendencies of autocratic forms and what Jesus had in mind when he called leaders to be servants. Autocratic leadership forms (and styles) work best when the leader is both highly directive and able to cultivate initiative on the part of subordinates who are both loyal and competent. This is an organizational thought process which does not seem inherently conducive to either pastoral ministry or the cultivation of community. With the right leaders it might be theoretically possible to navigate. But salt in the inevitable bits of sloth, hubris, and avarice, along with assorted other vices and things come apart. Sloth is perhaps the most insidious as it is common, easy to camouflage, and locks other problems in place. As all organizations grow and roles differentiate, individuals and groups with specialized tasks rapidly become used to doing things in particular ways. There are a limited number of things anyone can attend to and sloth provides a powerful incentive to attend to as few things as possible. Which means most people and groups will cease to look beyond their specialized roles and become highly resistant to changing those roles. When change inevitably becomes necessary this puts specialized roles in the larger group out of sync with each other, spawning conflict. This in turn, creates an incentive for competition within an organization as individuals and groups seek to reinforce their specialized roles. In hierarchical structures some will seek to improve their position within the hierarchy at the expense of others — the more energetic and adaptable among them will be the most successful at this. This competition puts individuals and groups at cross-purposes with each other, and with whatever the original goals of the larger group may have been. Autocratic structures are inherently dependent on capable and energetic top leadership to counter sloth and reign in competition in order to stay on mission. This dependency increases as the structure grows in size and in the scope of activity. The dependency also builds in a high vulnerability to the avarice of such leadership, as well as a high vulnerability to the avarice of energetic subordinates, if such a leader is lacking. The vulnerability can be mitigated by reliance on rigid codes of behavior, such as in military organizations, but this brings problems of its own. Autocratic systems can rapidly come to be all about giving and following directives, and competition over who is giving directives to whom. The only remedy for the misbehavior of an entrenched autocrat such as Paul of Samosata is the application of raw power. The bishops were obliged to find a more powerful autocrat and they called in the Romans. The foregoing ought to be a cautionary tale for modern churches and para-church ministries, particularly large ones. We have had a couple of millennia to come up with better ways to do administration but we’re really no different. All modern administrative structures have at least some autocratic aspects. And all have the tendency noted above to reinforce specialized roles at the expense of the overall group. This causes an organization to drift toward stagnation and this drift increases with size. Large organizations are likely impossible to run any other way. And attempts to counter this in modern corporations, such as by using oversight by an independent board, bring additional baggage. Most churches in the US likely borrow such corporate forms from the culture without giving them a second thought. Churches call their governance various things (such as elder or deacon boards) but most of them are likely a functional and legal board of directors of a state-charted non-profit corporation. This governing board is bound to legal and ethical obligations that are independent of the organization’s defined structure. And some of these obligations encompass further imperatives that can potentially operate at cross purposes with a church’s ministry. One example (among others) might illustrate this. Board members have ethical obligations to donors which drives a duty to investigate allegations of mishandling of the funds and assets of the corporation. Board members consequently have an obligation to hear the allegations of good faith whistle-blowers and protect them. It is not difficult to imagine scenarios where this might conflict with what Paul the apostle says about handling accusations against elders. Most churches probably just muddle on through issues of organization and do just fine at small scales. But a failure to engage the inherent characteristics of organizational forms at larger scales is apt to result in one of two dysfunctional outcomes. In the first, the church (or para-church ministry) becomes “an institution” and solidifies in harmful ways. Modern practices have mitigated the nastier effects of competition for control and position once characteristic of autocratic administration. But individual and group tendencies to settle into the familiar can freeze specialized roles in place like a glacier in an alpine valley. Those roles might still be in motion. But don’t wait around for them to produce anything. In the second, actual requirements of the forms are ignored and chaos ensues. In the US this might involve blurring of the obligations inherent in a non-profit entity. Corners get cut, particularly when conflicts of interests are involved. Sometimes liberties are taken. If enough of this happens some injured party files a lawsuit, which is a modern US version of calling in the Romans. After all, the government created the tax-exempt entity in the first place, along with the obligations that go with it. These outcomes are not mutually exclusive and a crisis precipitated by the first can initiate the second. Neither of them are conducive to building community. I am not suggesting we can dispense with organization. But unfortunately organization aggregates human frailty, and different organizational forms aggregate frailty in different ways. What I am suggesting is caution about the baggage that comes with organizational forms, and asking questions about the limitations in our approaches to issues of numerical growth and growth in the scale of our activities. So someone doesn’t have to call in the Romans. The Church History of Eusebius. Nicene and Post-Nicene Fathers Series 2, Volume 1 – Enhanced Version (Early Church Fathers). Editor Philip Schaff. Christian Classics Ethereal Library. 2009 Kindle Edition. Frederick W. Norris. Paul of Samosata. Encyclopedia of Early Christianity. 2nd ed. Editor Everett Ferguson. New York: Taylor & Francis, 1999. Print. Kindle Edition 2013 (Kindle Locations 34343-34344). Joanna Dewey. Oral Ethos of the Early Church: Speaking, Writing, and the Gospel of Mark. Eugene: Cascade Books, an Imprint of Wipf and Stock, 2013. Kindle Edition, p. 4. [5 ] Round-trip messaging durations in ancient Rome were measured in weeks and months. This constrains the practical utility of letters to narrow uses such as broad policy guidance, or to address specific and non-urgent problems raised about the scope or authority of specific local officials. The broader use of an administrative letter, particularly in the case of the emperor and a distant governor, is as an a not too subtle reminder of who is actually in control. The obsequious tone in some of Pliny’s correspondence to Trajan is highly suggestive. Granted, written material is more reliable than oral messages and probably did facilitate the sprawl of the Roman power. But writing itself is not inherently necessary to run an empire. The Inca may have got on just fine without it. They used knotted and colored string Quipus for administrative recording. These may have also served as a form of writing media but the mechanical nature would be very limiting, and probably not that useful beyond administrative record-keeping. I’ve been reading The Shallows, a book by Nicolas Carr in which he argues that the Internet and devices which provide access to it are essentially rewiring the way we think. What we’ve discovered in the last few decades is that the brain is very malleable and responsive to changes in how we interact with our environment. Carr backstops the discussion with a sketch of the historical development of writing and reading, and cites analysis of the effect on how people think and looks forward to current effects on culture. Carr is looking forward and I’ve found his argument compelling. But what he highlights also has implications for how we engage with ancient authors. But when scribes began to insert spaces and impose rules of word order, the amount of mental labor required to read was significantly reduced, which facilitated development of the reader’s ability to concentrate and engage more difficult material. This led in turn to the development of the ability to think in a more linear fashion. Carr’s argument for the modern world, is that the Internet is changing how we interact with text and media in ways that appear to interfere with ability to concentrate, and with the linear thought that changes in writing made possible. Looking back at the history of literacy and books suggests an additional point. Some caution is in order in the interpretation of ancient texts. Some of the fine-grained theological distinctions that Christians argue over might simply be artifacts of linear thinking, which was fostered by the development of easily read books. Nobody in the ancient world sat up late at night reading their scrolls by the flickering light of candles and smoking oil lamps. The way we think differs radically from how Biblical authors engaged with the texts they wrote. Centuries of argument on a wide range of topics from scholastic disputes during the Middle Ages, to modern denominational divisions over baptism and predestination might lack even the possibility of resolution. The points made in these debates probably never existed in the minds of the original authors. *Carr, Nicholas. The Shallows: What the Internet Is Doing to Our Brains, W.W. Norton & Company, New York, 2010, ISBN: 9780393079364. 2011 Kindle edition p. 63.